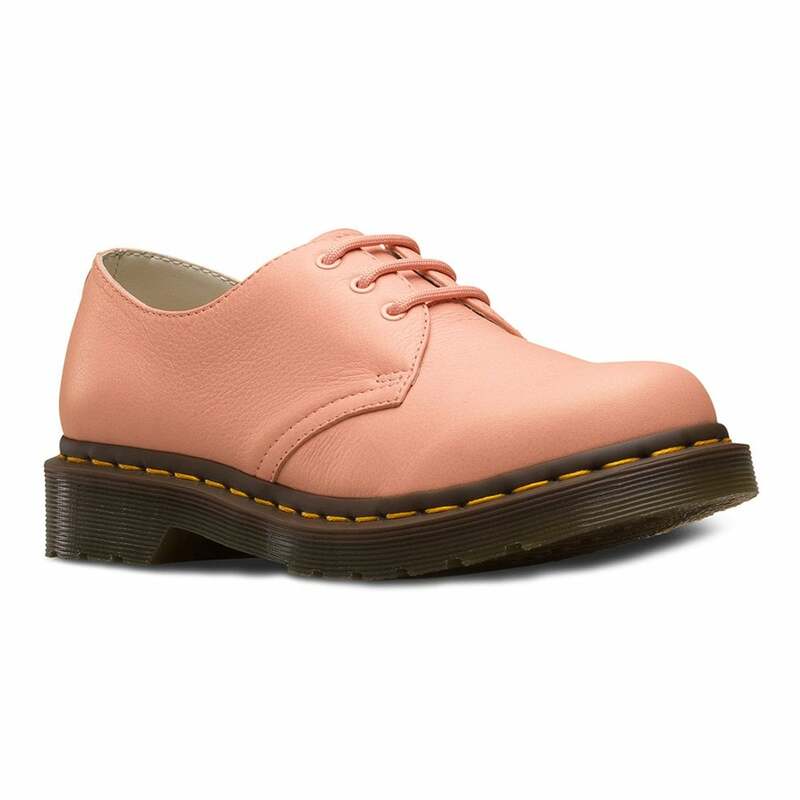 A versatile womens shoe from Dr Martens updated in soft, supple and stylish salmon pink Virginia leather. The 1461 is a staple of DM's balance between style and comfort and today, is worn as a statement of self-expression by trendsetters from all walks of life. With a grained leather upper and rounded toe, the 1461 womens shoe has Dr Martens' trademark air-cushioned sole unit. Fastened with matching laces, the shoe is finished with three eyelet colour matched metal ring lace-up that provides extended durability during everyday wear. Great shoe for everyday work wear or just looking good! Get yours today at Scorpio Shoes.